I’ve been quite busy in the garden at The Studio recently. Not a weekend passes without the fabulous J popping down to the local nursery to forage for beautiful and exotic plants to add to our thriving little piece of nature in suburbia. Had you been in our garden this past Sunday you would have seen Commander J, leading the team of Mitsy, Julia and Bella, conducting operation dead head. I like roses but let’s face it, you can’t eat them can you? They do use a bit of rose water in good quality turkish delight but it hardly gets my juices flowing. I have made a lavender infused chocolate mousse which was worth repeating, but it is not exactly everyday fare. The part that excites me is the herb garden. Rocket, basil, sage, chives, parsley, celery, thyme, rosemary, mint, lemongrass, dill, coriander and oreganum. Unfortunately my allocation of space for herbs is rather like my allotment of shoe space in the closet – never enough – but you will be surprised at the yield you can get from a small patch. The good thing about having herbs in the garden is that they are so fresh and you don’t have to remember to put them on your shopping list. They are there for last minute emergencies or creative exploration. Next time you grill some tomatoes try a sprinkling of thyme on top. A glass of ice cold water is no longer ordinary with a piece of lemongrass or mint added. Instead of spending your money on fancy pillow packs of lettuce gather a bunch of rocket, basil, chives, dill and parsley, add a couple of tomatoes and an avo and you have the best salad in town. 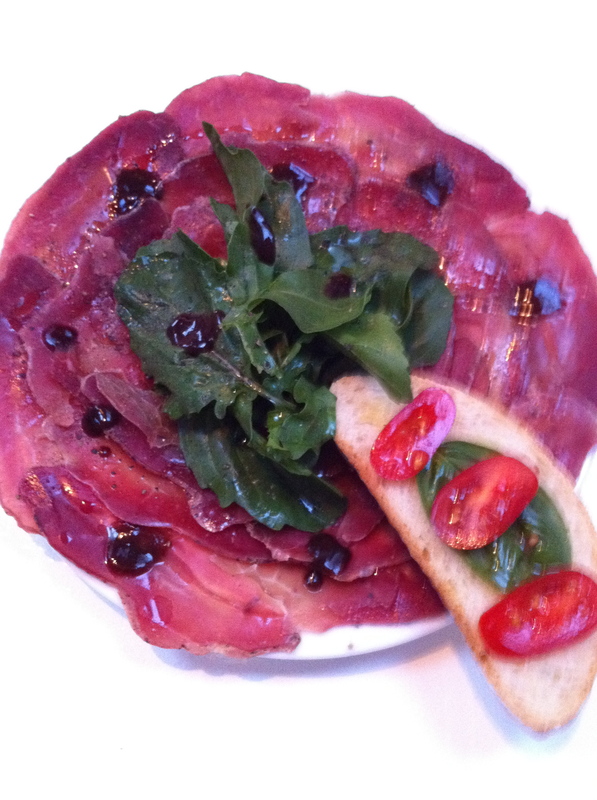 Last night we had a little starter snack of Bresaola which was delicious. I served it with some rocket from the garden, tossed in olive oil and lemon juice. It’s a great combination and if you want to impress your friends, add a few drops of balsamic glaze and some shavings of pecorino cheese. Grow your own – it’s worth it. If you don’t have a garden or your shoe closet is full try using pots and don’t forget about the windowsill. 3 Responses to Plant a seed…. At least I got rid of the funny looking shirts and made some more space there! AND…i had the left over Bresola on ciabatta with pesto for lunch. YUM! sounds yummy- but what is Bresola?